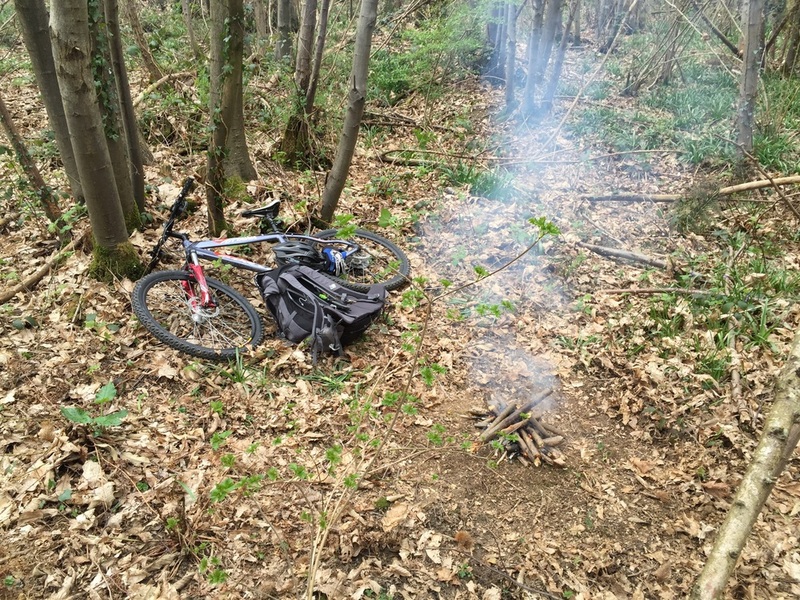 Today the exercise will consist of a mountain bike ride and the food I've decided will be cooked on an open fire. One of my favourite ways of cooking. I grabbed the bike, the bacon, lots of water, put it in my bag and off I went. 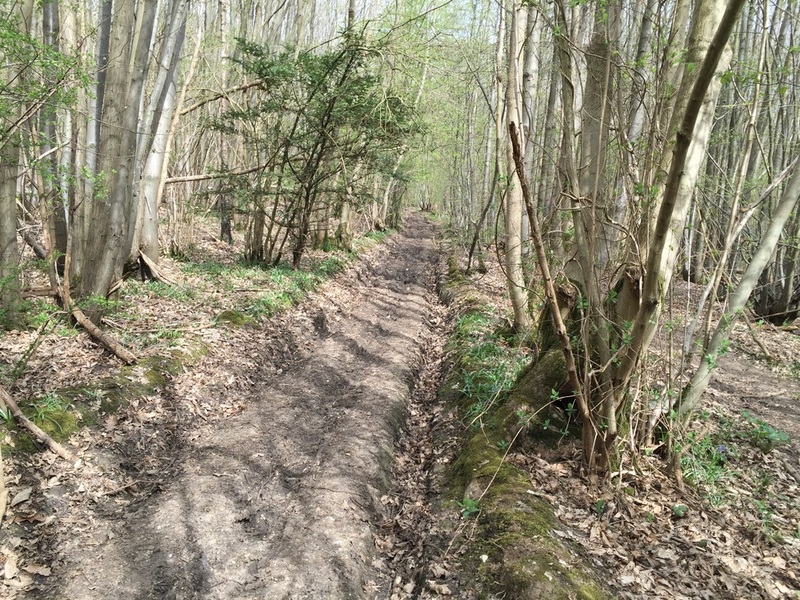 I cycled for about an hour or so until I ended up on some trails in the local woods. Sun was shining and nobody was around. Just me and the bike. A fantastic way to spend my Sunday morning. However, this pack of bacon in my bag is calling and I can't wait out any longer! I found a nice little spot in the woods and made a fire. Built a frame for my bacon and started cooking. The smells were brilliant and it was murder having to wait for it to cook properly. While it was cooking I sat there just listening to everything around. Now summer is on the way the wilderness starts to get very noisy with the birds and animals. Wasn't long before I settled in and started seeing the usual squirrels going about their day. It's done!! Oh wow, does it taste good. I was so hungry but it was worth the wait. Sitting next to a fire eating bacon on a Sunday morning with sun shining through the trees. Perfect. Now I've got a bit more energy I got back on the bike and started to make my way back home. I stopped off in my town to take in some of the sites. It never fails to amaze me what you can have on your doorstep in this country. I have a Norman castle and also a cathedral that predates the Norman Invasion itself. Amazing to be able to ride my bike up to these incredible sites. I got back home, cleaned the bike, had a shower and sat down with a cup of tea. It made me feel so much better getting out for a bit. Not a big adventure but enough to put a big smile on my face. Do you fancy a slightly different bike ride? Well grab some food and go make a fire somewhere. One condition, you tell me all about it. And I want to see pictures!